Do you like to hoard kitchen appliances? Do you have a lot of seemingly useless appliances that you never use but just bought it because they were cool? I am one of those and that was inherited from my mother. Between us, we have multiples of toasters, rice cookers, pressure cookers, blenders, milkshake makers, ice cream makers, a bread maker, juicer, coffee machine, electric grills…and the list goes on and on and on! I always get so captivated when I visit the appliances section of a department store and it just fascinates me how they can come up with all the awesome stuff that they do. Tell me another thing. Do you like cakes? Do you like staring at pretty cakes that have been so decorated they look too real to eat? 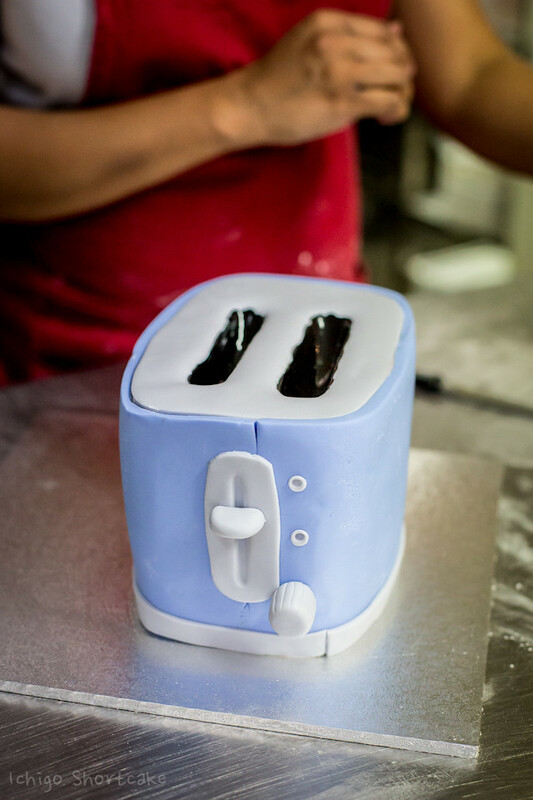 Do you think cakes are a form of art? 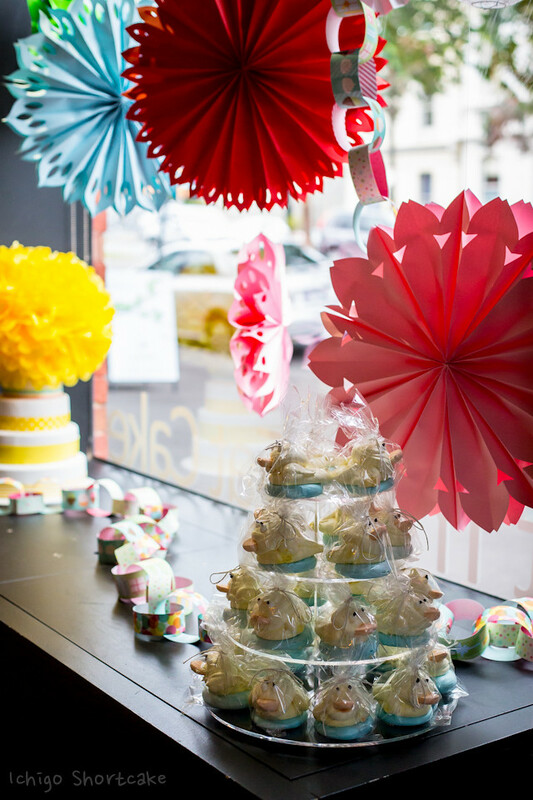 If you answered yes to all the above, boy you’d have loved to be part of my recent event at Let Them Eat Cake in South Melbourne to celebrate Appliances Online’s 8th birthday! 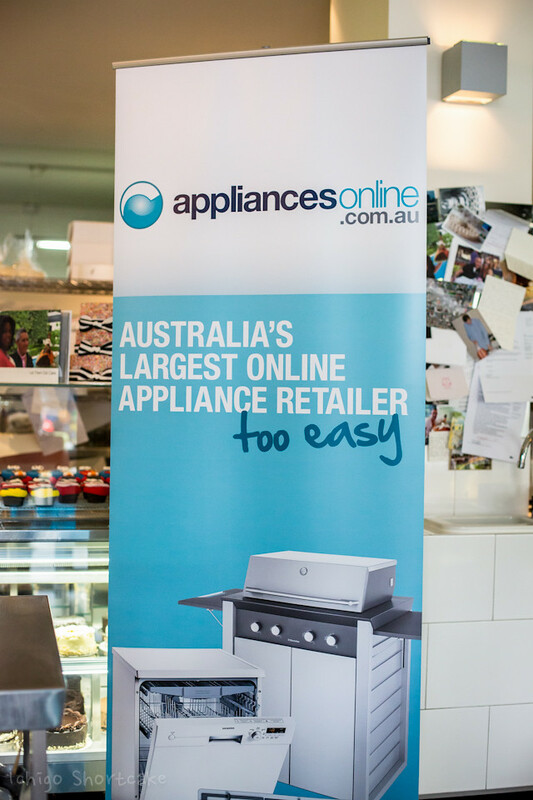 Appliances Online is Australia’s largest online whitegoods site. 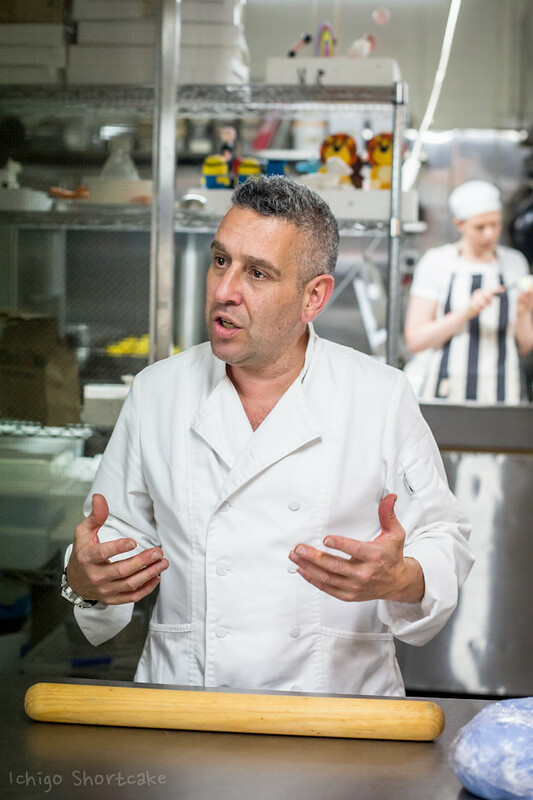 They have won many awards since their founding in 2005 and was first founded by John Winning with just a laptop, a rented trust and a 1300 number diverted to a mobile phone. It’s amazing how they have grown in this period of time. 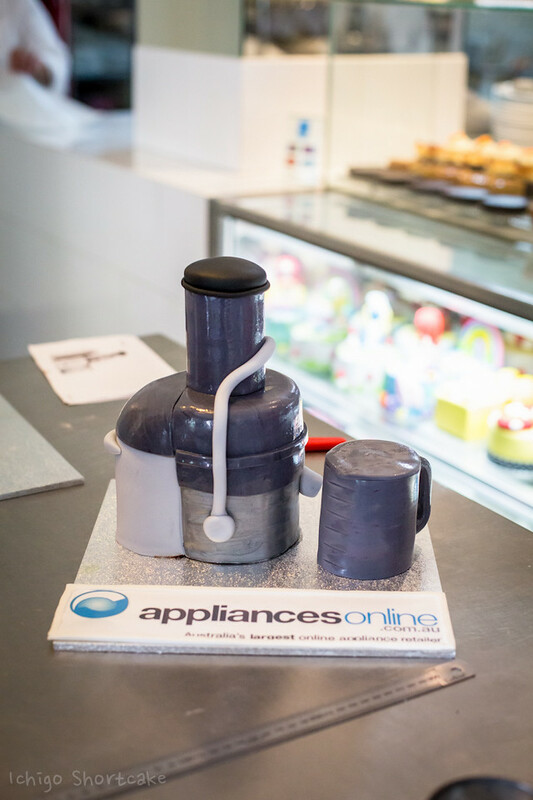 To celebrate their 8th birthday, Appliances Online is hosting a a national competition on their Facebook to find its official birthday cake. 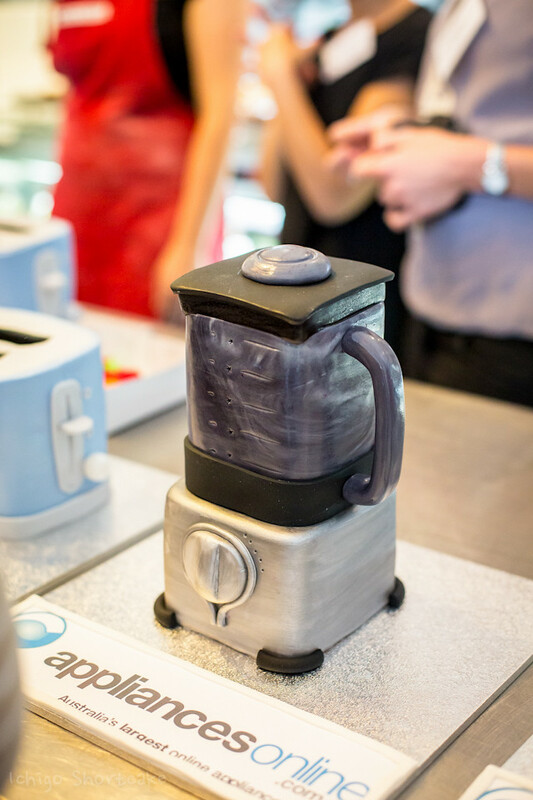 It’s no ordinary cake, it has to be appliance themed! That means making cakes that look like a toaster, a blender, a juicer just to name a few. 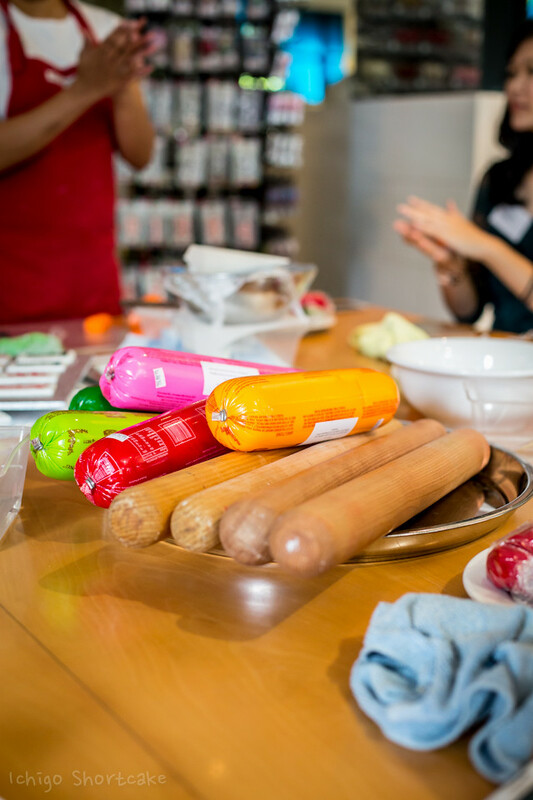 To help you get an idea of what to make, we were exclusively invited to Let Them Eat Cake to experience what it’s like to make one. 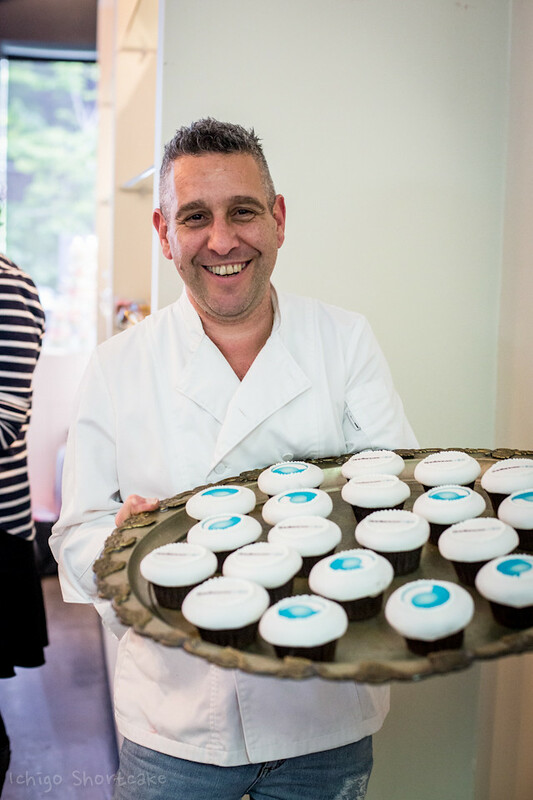 The founder and owner of Let Them Eat Cake, Christopher Montebello, was a humorous person with a big personality. 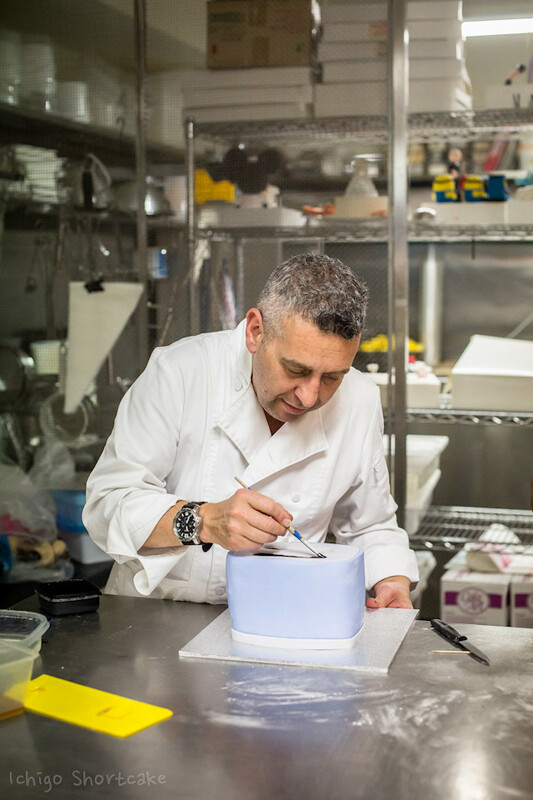 It’s no doubt he’s got talent when it comes to making cakes. He’s even added making cakes for Oprah to his repertoire and was there teaching all of us how to decorate a cake, along with his talented assistants. We first watched in awe as his assistants finished one cake after another, all in the shapes of appliances available from Appliances Online. Here’s Christopher and his assistants hard at work. We were actually each given one of these that were all wrapped up at the end of the event and it was like a lucky dip. I got the Tefal cutter which is quite cute and colourful but wish I got that toaster instead…it’s so chic! Want to know if they’re actually edible? The answer is yes! 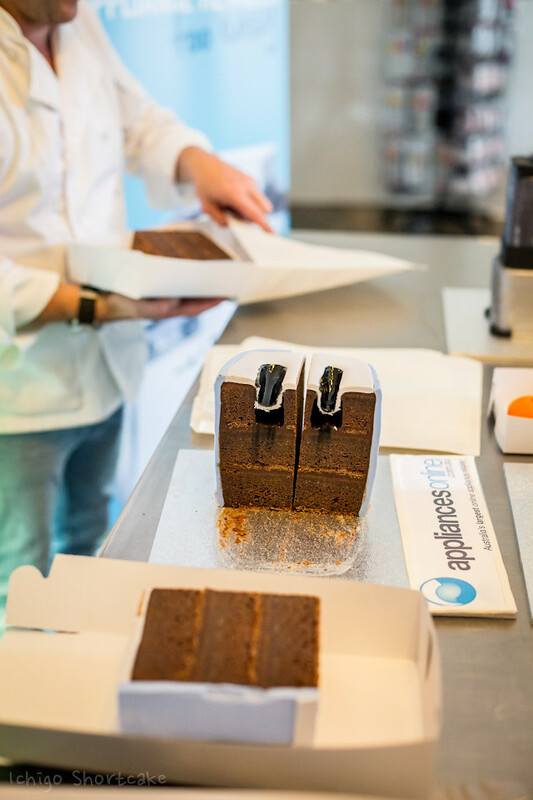 The inside was made using a flourless chocolate cake which is more dense than your usual floured chocolate cakes to make it easier to put the fondant on top. I didn’t get to try this but the others were also taught how to write with icing using piping bags. 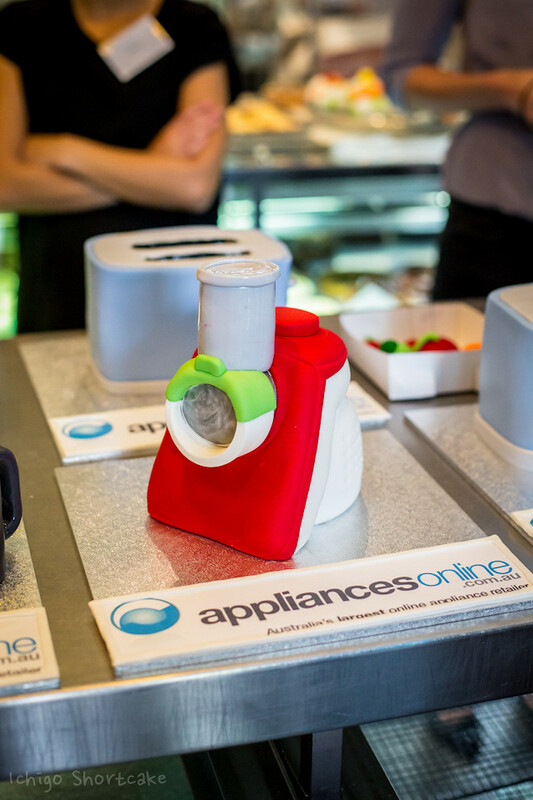 If you would like to join in the fun and submit your own version of an appliance themed cake, you can have the chance to win 1 of 8 Sunbeam food processors valued at $399! 1. 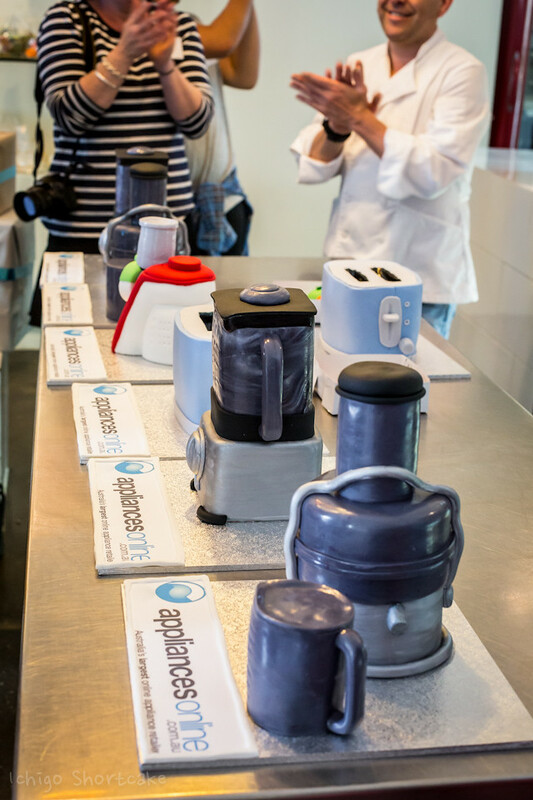 Simply create an appliance themed cake to go in the draw to win one of eight Sunbeam food processors. Appliances Online stocks more than 90 of the world’s leading brands, so check out www.appliancesonline.com.au for inspiration. Competition entries close 8th December 2013. 2. Once you have created your cake, upload a picture via Appliances Online’s Facebook, Instagram, or Twitter. – Instagram: Upload your picture and tag @appliancesAU and use the hashtag #AOLbirthday. – Facebook: Simply upload the picture of your cake to our page. 3. User interaction will drive top 20 finalists. Appliances Online will then select eight winners. 1. Buy fondant pre-made – It can be difficult to achieve the right consistency when making fondant from scratch, which can cause unnecessary stress. We recommend buying it pre-made online or from your local bakery. 2. Sketch your concept before you start decorating and keep it simple! The simplest ideas are often the best – you don’t have to have the technical proficiency a professional to create something that looks beautiful and impressive. 3. 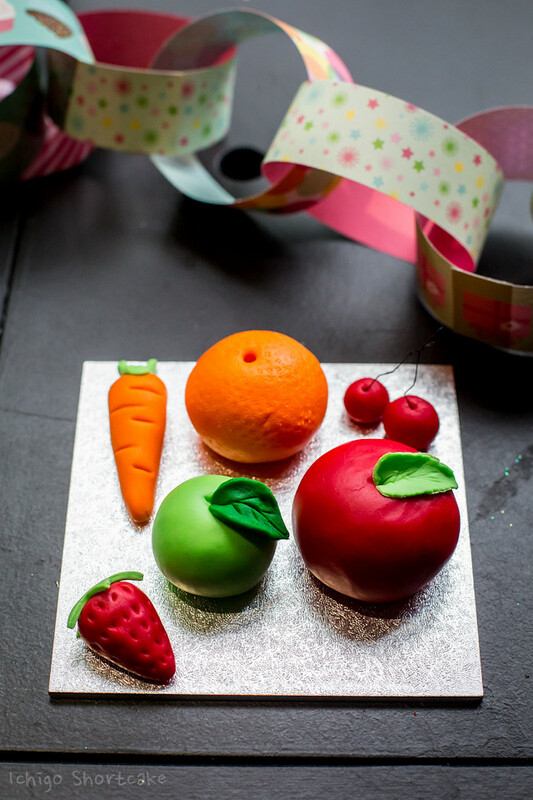 Use fruit or mud cake – Fondant works best with firm cakes, such as fruitcake or mud cake. Make sure you don’t use sponge cake, as it won’t support the weight of the icing. 4. Heat marzipan – If you’re using marzipan, take it out of its foil package and microwave for about 10 seconds to make it easier to work with. 5. 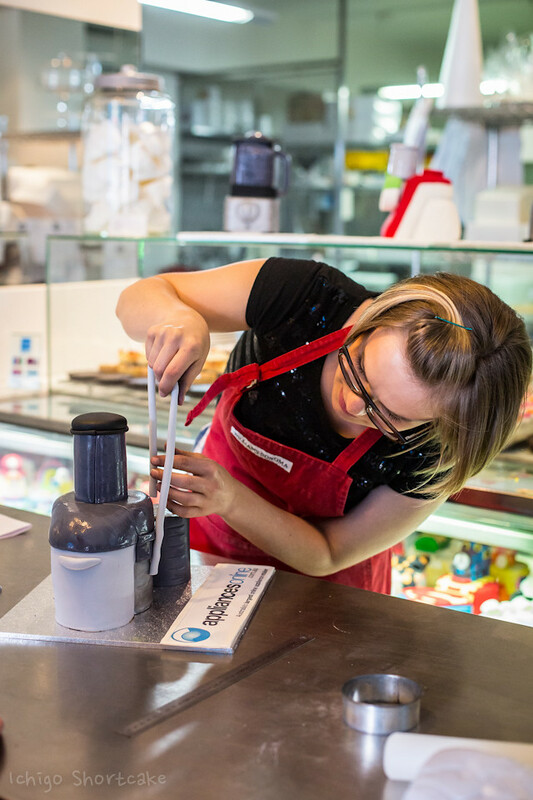 Applying Fondant: Knead on a clean board that’s been sprinkled with icing sugar. If adding colour, apply sparingly and knead into the icing. Roll out with a rolling pin (that’s been sprinkled with icing sugar) and keep applying sugar throughout the rolling process. Once large enough to cover the surface of the cake drape the fondant over the cake. Smooth gently, starting at the centre of the cake, and moving outwards. Make sure your hands are dry and coated in icing sugar. You need to massage the icing outwards using small circular motions, to get rid of any air bubbles. Trim excess fondant with a sharp knife and then prick any air bubbles in the surface of the icing with a pin, gently smoothing the air out until it flattens. 6. Experiment and have fun with leftover marzipan and fondant icing which can be used to create simple figurines and flowers (these decorative pieces can also cover any lumpy parts you were unable flatten. What are you waiting for? Let your artistic side go wild! Disclaimer: Ichigo Shortcake attended the cake making class and received a Tefal appliance with thanks to Appliances Online and Let Them Eat Cake. These cakes are the cutest my friend! Simply adore how people can be so talented with fondant! Amazing cakes of appliances .. congratulation to you for achieving a great journey to make kitchens more beautiful . The creative idea of these cakes lovable .